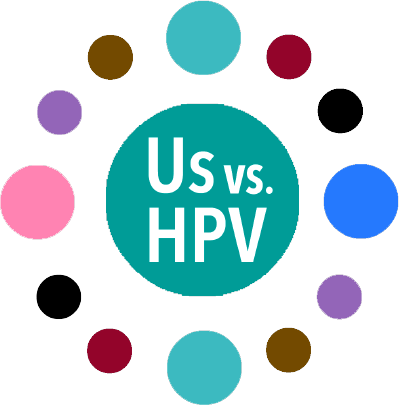 Us vs. HPV On-line Webinar Series Hosted by American Medical Women’s Association (AMWA) and Global Initiative Against HPV and Cervical Cancer (GIAHC) with Webinar through Indiana University. HPV is the most common sexually transmitted infection. Over 100 HPV types have been identified and are generally classified as high- and low-risk, depending on their association with cancer. High-risk HPV types cause several different cancers in both males and females. Highly effective preventive HPV vaccines are available in many countries around the world, uptake has been low, and the vaccines remain underutilized, leading to less impact on HPV infection and HPV-related cancer rates around the world. The 1-hour webinars between noon and 1 pm are intended for members of the public, patients, health care providers, and anyone else who wishes to learn more about various aspects of HPV-related disease and HPV prevention, including HPV vaccination. Webinars will include several talks by experts, patient perspectives, panel discussions, student presentations and screening of a short educational film.